Travis Walthall isn’t sure exactly how old the former equipment was in the Law Enforcement Academy’s indoor firing range. The finishing touches are being put on a long-needed renovation to the firing range, which will be ready for students to use when the Fall 2018 semester begins. Using the latest technology, nine lanes have been installed on the range, with the option to add two more down the line, says Walthall. “The range now has an iPad-like control system,” he says. 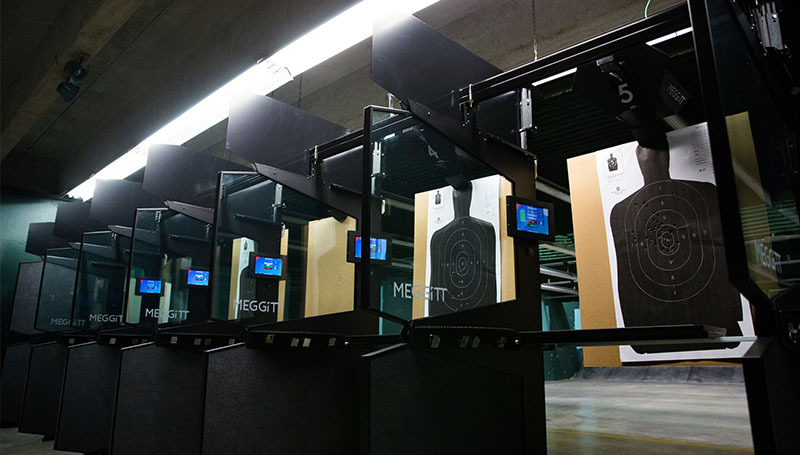 “An instructor or individual shooter can control each lane from their booth. Or, every lane can be controlled at the same time by an instructor on their iPad or from a desktop computer. Students utilizing the range will also find improved safety guards in place. The old backstop was replaced, and crews performed lead abatement on the firing range. Students at in the criminal justice and law enforcement programs aren’t the only ones who will benefit from the renovation project, says Walthall.